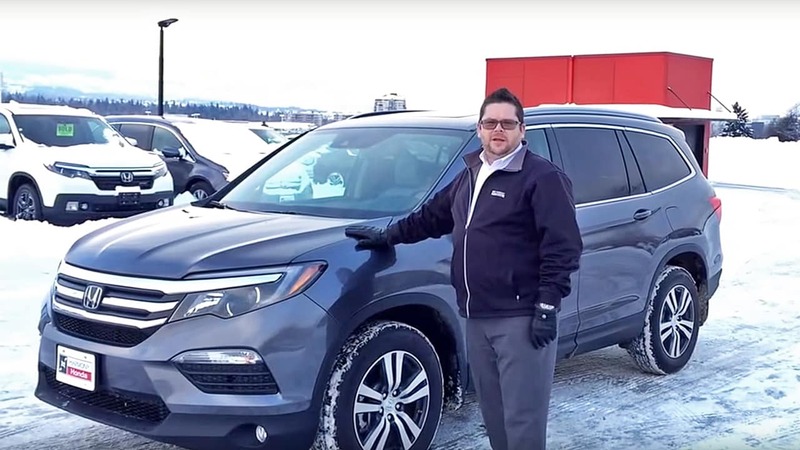 If you’re looking for a versatile SUV to drive through Kelowna, West Kelowna, or Vernon, then meet the 2018 Honda Pilot. 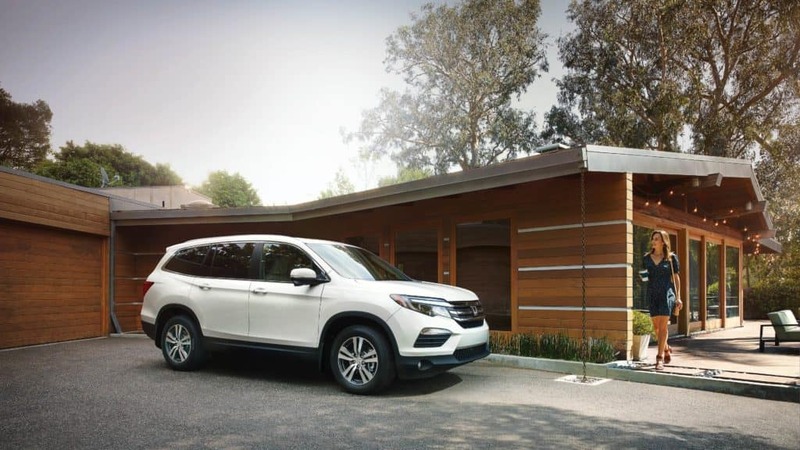 This efficient vehicle is available at Harmony Honda, your friendly and local Honda dealer in Kelowna. The LX seats eight passengers. 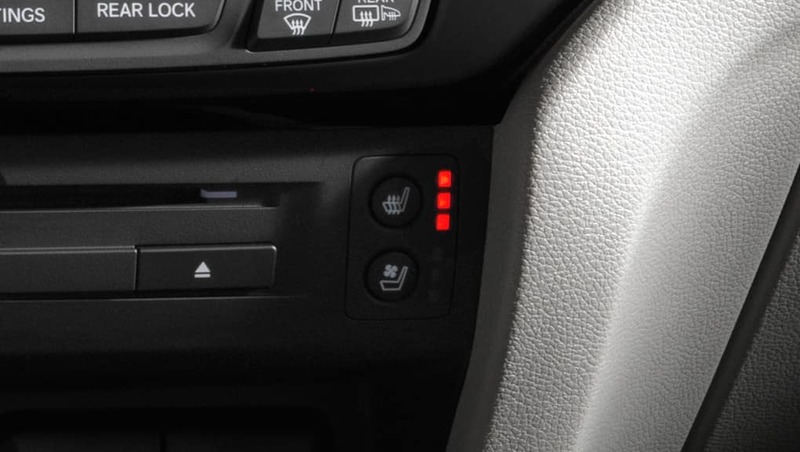 The driver and front passenger can enjoy heated seating on chilly days. 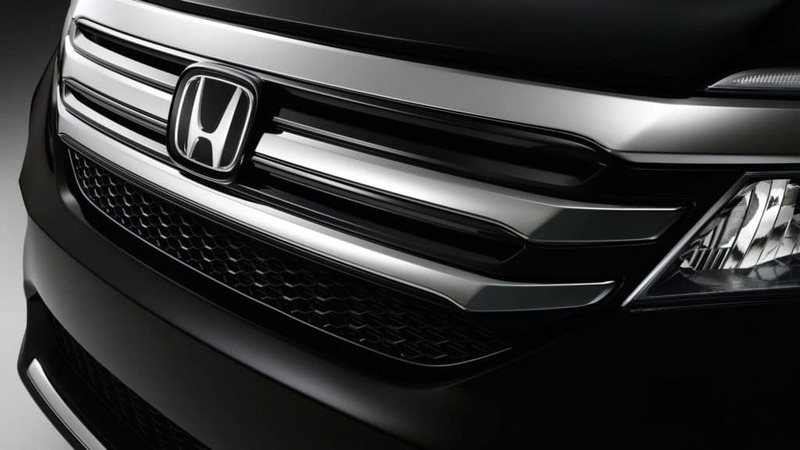 Enjoy a Display Audio System with HondaLink, tri-zone automatic climate control with an air filter, and a remote engine starter. 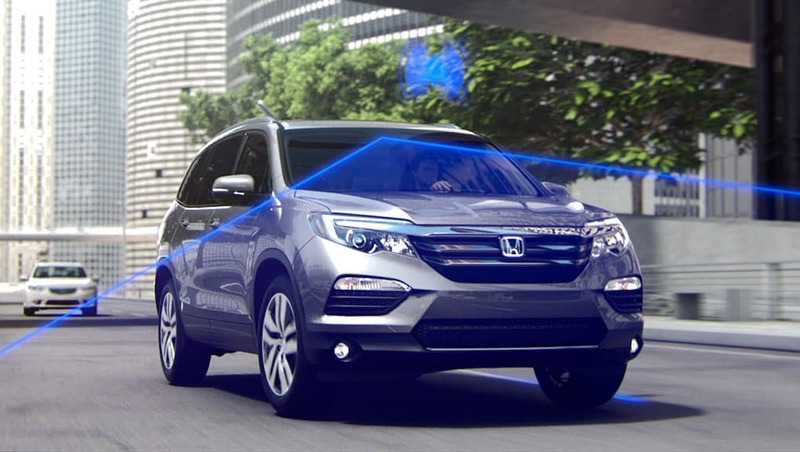 It comes standard with All-Wheel Drive with Intelligence to take on a variety of road conditions and Honda Sensing which gives you the advanced safety technologies of Collision Mitigation Braking System, Adaptive Cruise Control, Road Departure Mitigation System, and more. 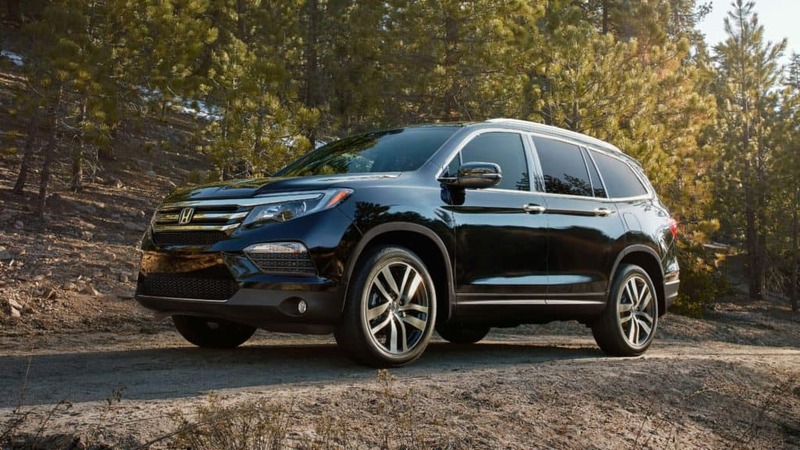 The MSRP starts at $42,185. 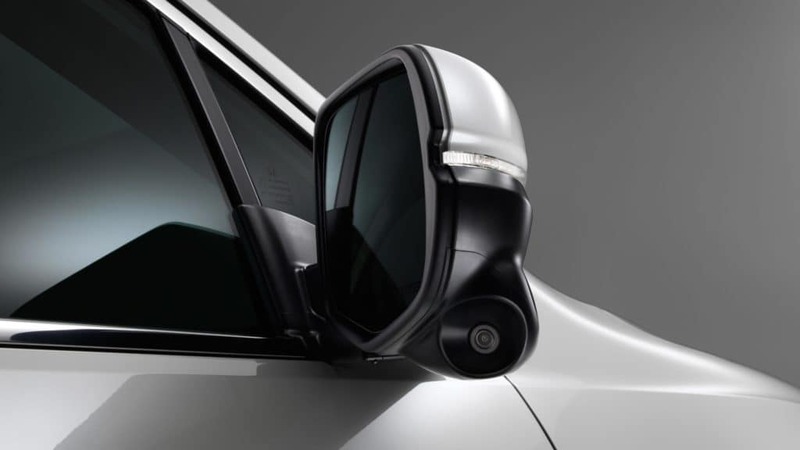 The EX builds on previous trims with additional features such as Honda LaneWatch blind spot display, moon roof with tilt, driver’s seat with 10-way power adjustment and power lumbar support. 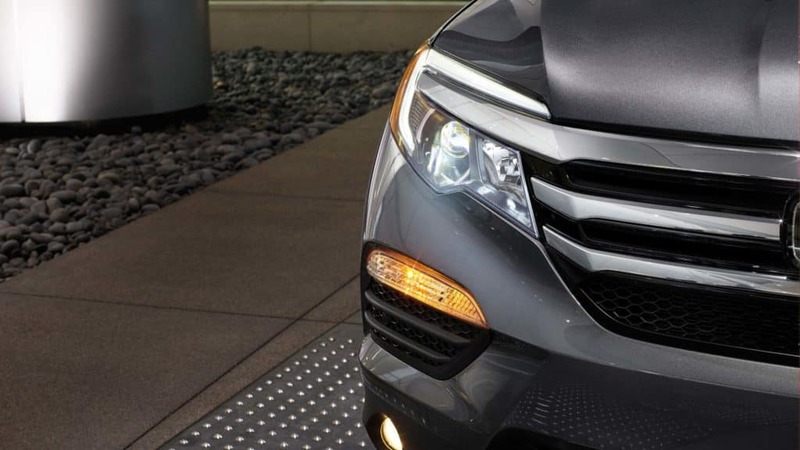 You’ll have included roof rails and fog lights, too. The MSRP starts at $44,185. 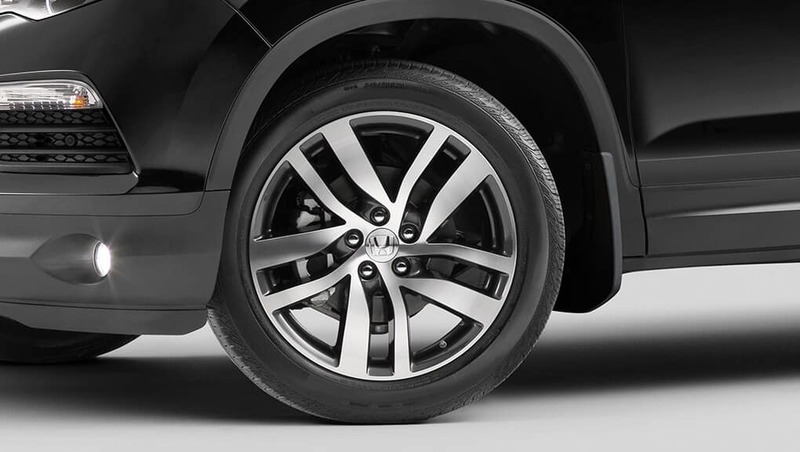 The EX-L NAVI adds to the EX with extra luxuries. 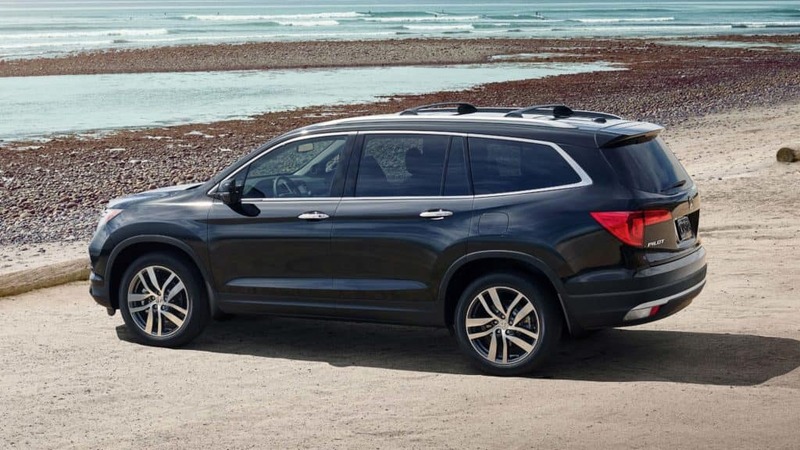 Enjoy leather trimmed seating, heated front and second row outboard seats, leather wrapped heating steering wheel, and a power tailgate. 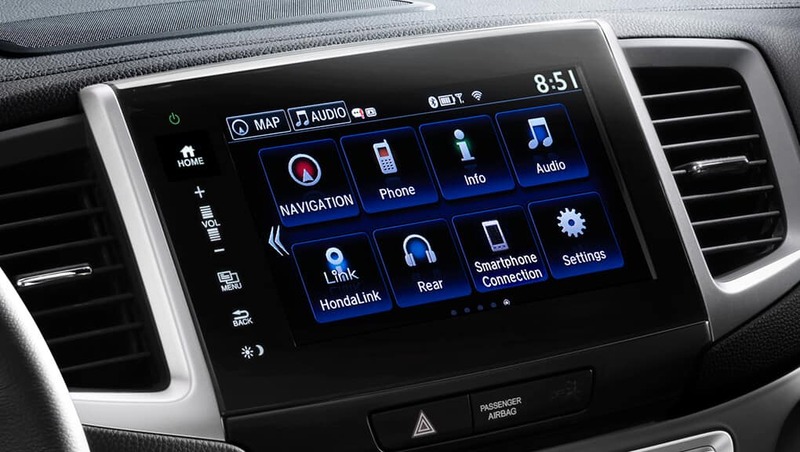 The second row also features one-touch folding, and you’ll enjoy SiriusXM Satellite Radio. 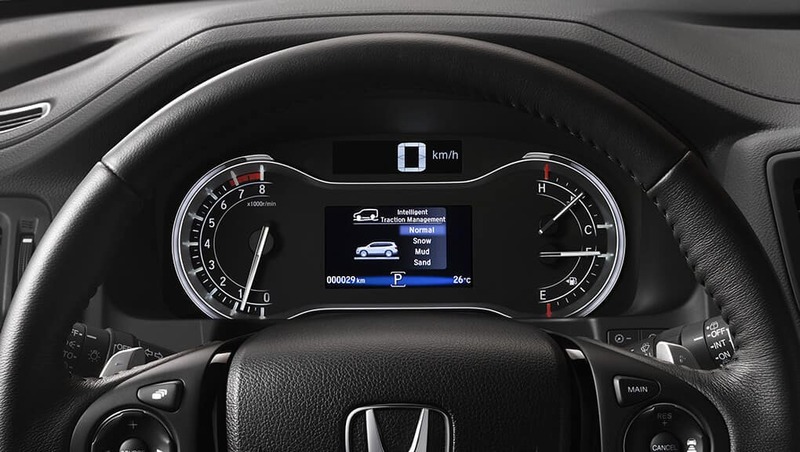 Honda Satellite-Linked Navigation, bilingual voice recognition, and steering wheel mounted controls are included, too. 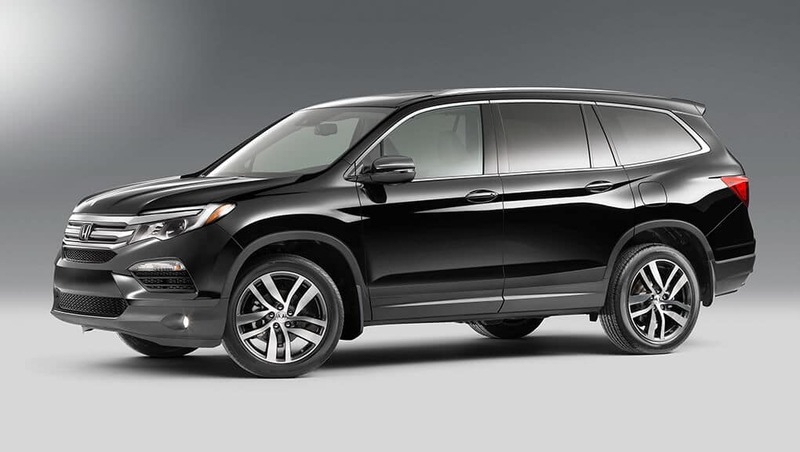 It has an MSRP of $47,985. 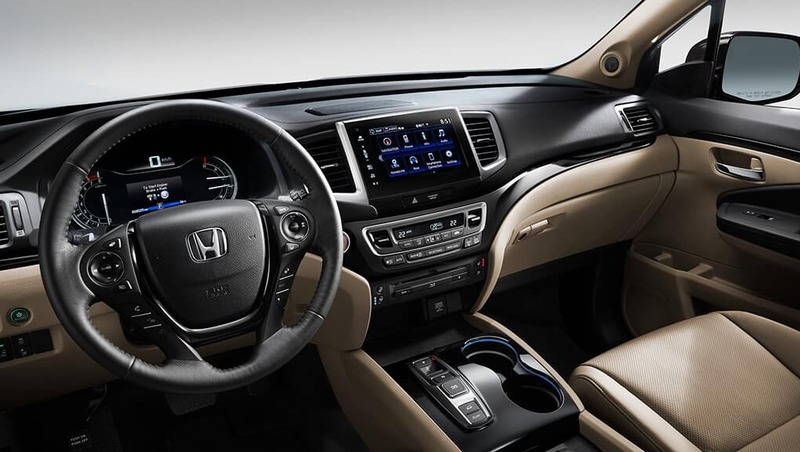 The EX-L RES adds fun with Honda DVD Rear Entertainment System with wireless headsets and personal surround sound as well as HDMI input. The MSRP begins at $47,985. 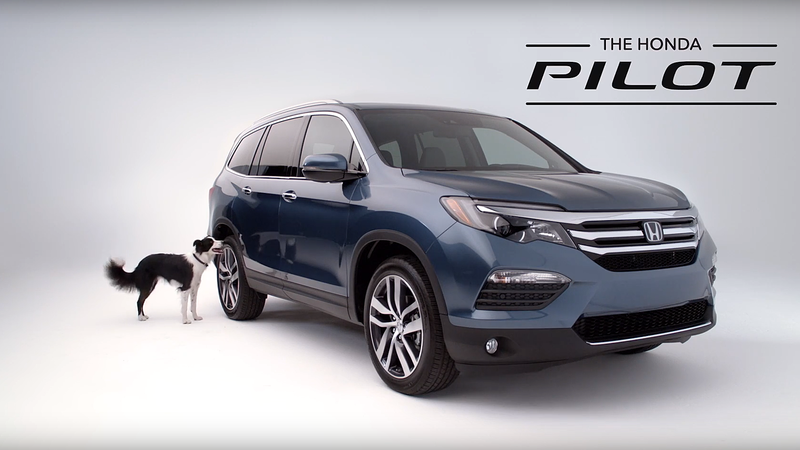 The TOURING level is the ultimate Pilot package. 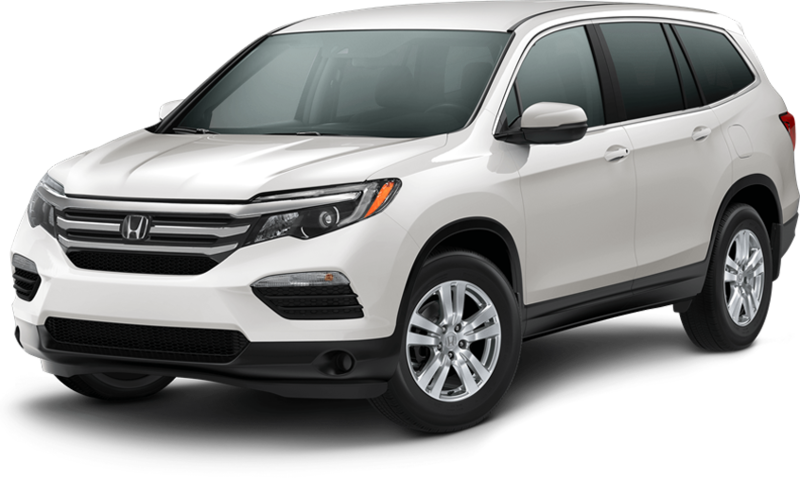 Enjoy the standard Pilot features plus Honda Blu-Ray Entertainment System, one-touch second row seats with heating, heated and ventilated seating with perforated leather, a panoramic moonroof, and Blind Spot Information System. 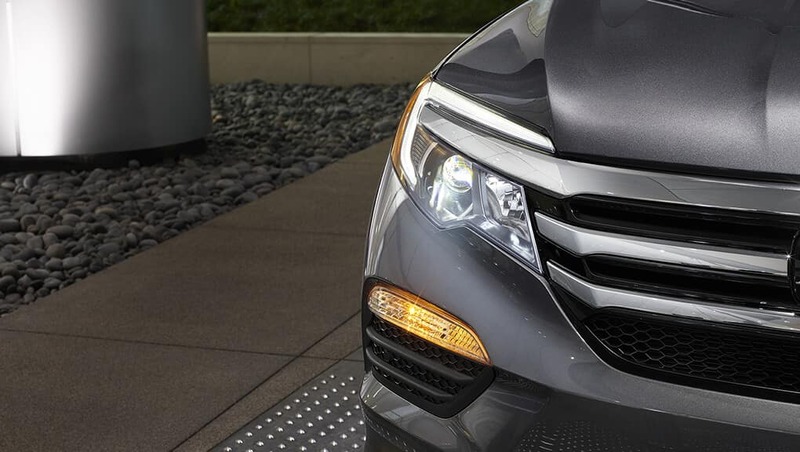 The MSRP starts at $53,585*. *$300 extra charge for color white. This is the new chapter. Where alone time means family time. Where multitasking isn’t a skill, it’s a way of life. This is the new you. A leader when needed, a teacher always. 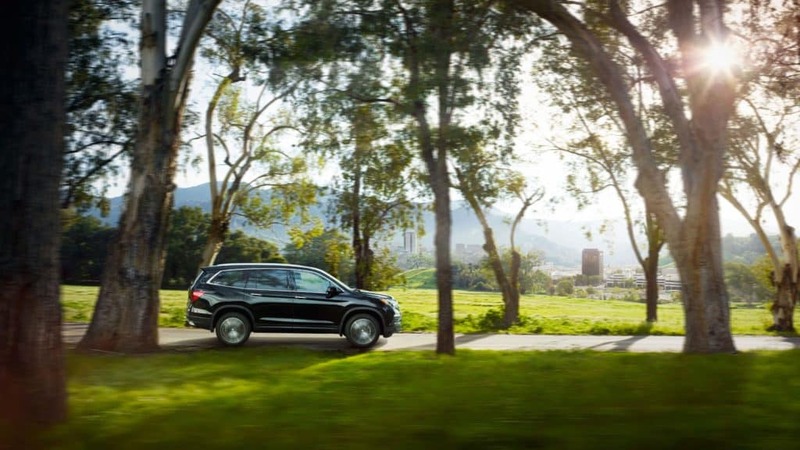 Adventure still calls, but now you answer with an entourage. This story might have a lot more characters than it used to. But that’s what makes it so interesting. 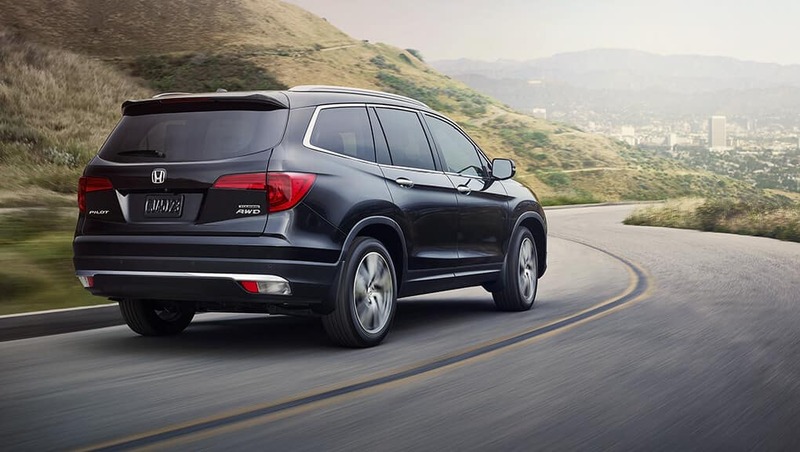 The Pilot is equipped with a 3.5L 24-valve Direct Injection i-VTEC V6 engine. 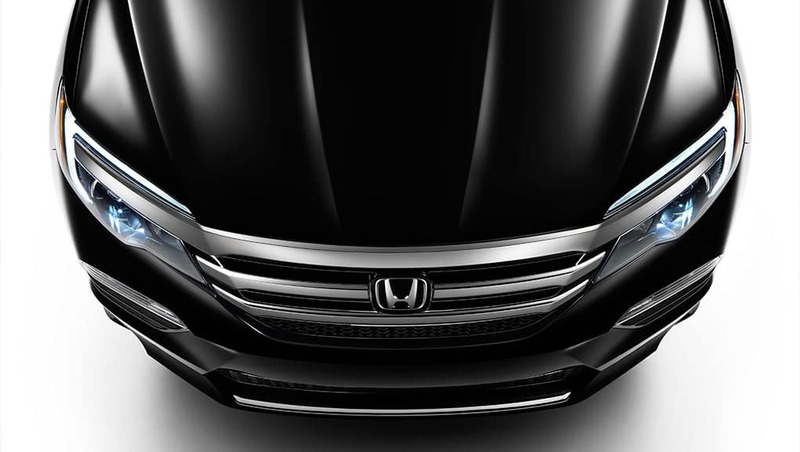 It has 280 horsepower with 262 lb-ft of torque for ample power. 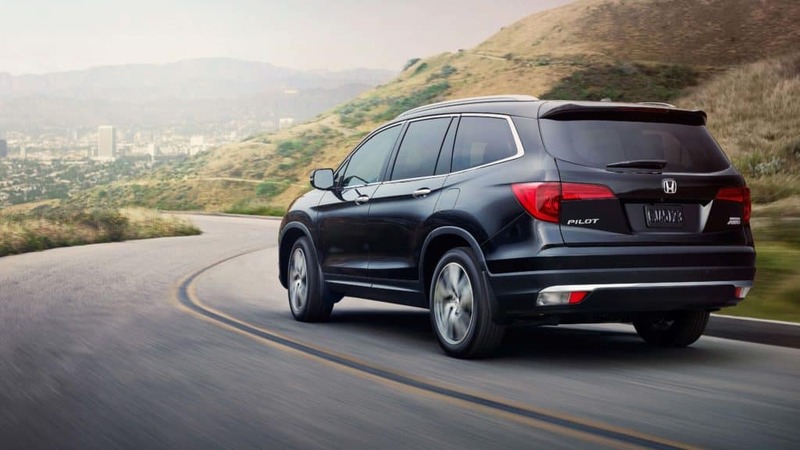 Enjoy fuel efficiency with Variable Cylinder Management that switches between three and six cylinder settings to maximize efficiency. 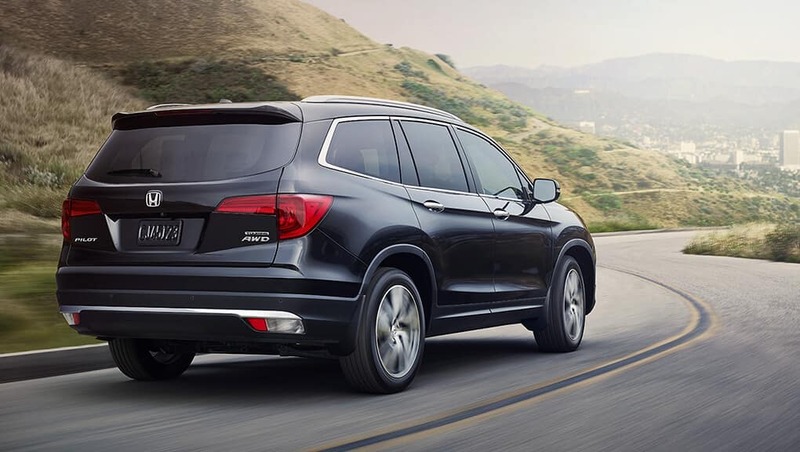 Honda makes safety a priority. 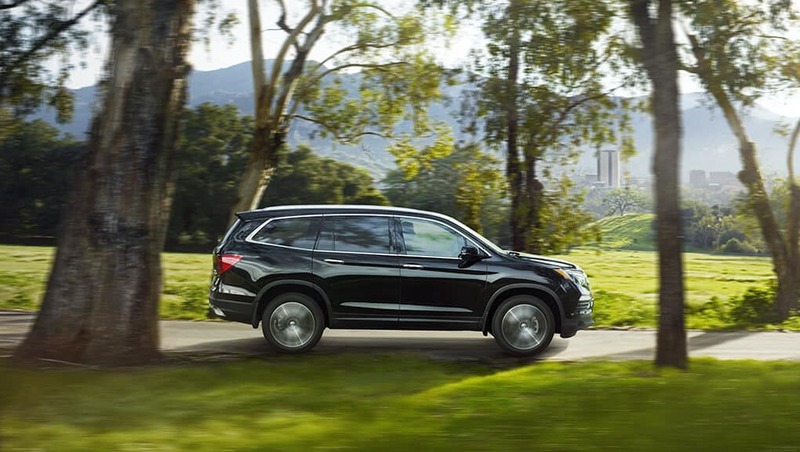 The 2017 Pilot has standard features such as Vehicle Stability Assist to keep your Pilot safe on the road in any condition. 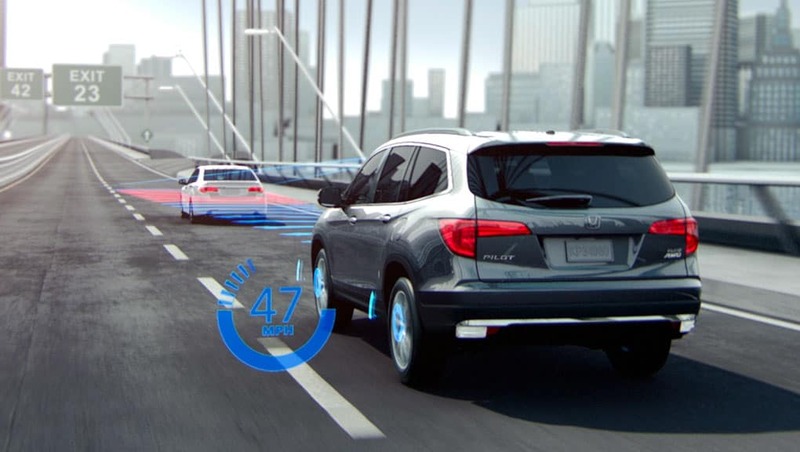 The Tire Pressure Monitoring System calculates tire pressure at all times. If your pressure drops, you will receive a dashboard alert. 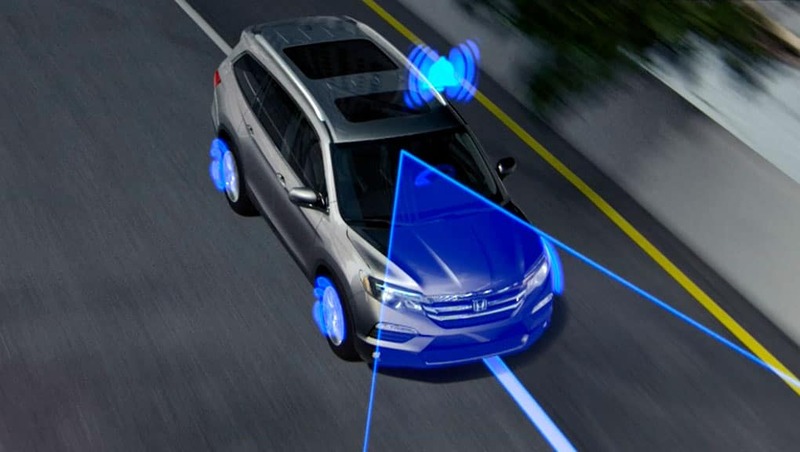 Standard HondaLink Assist Automatic Emergency Response System requires no subscription. Just pair your Bluetooth-capable phone to the system. 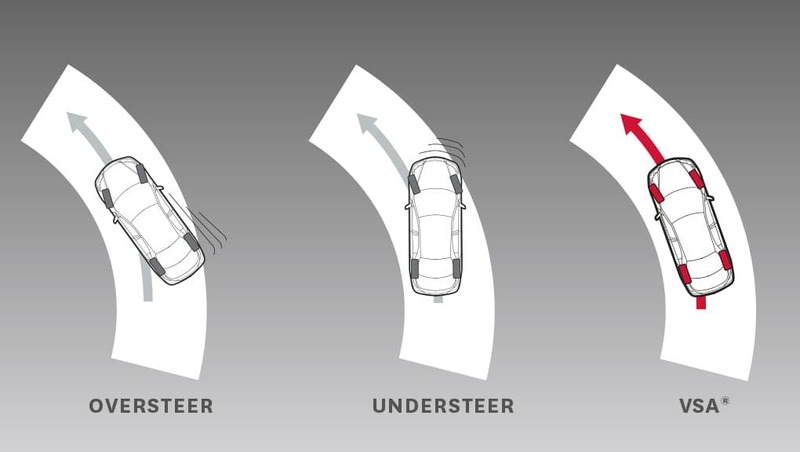 If your airbags deploy, your phone will call an emergency operator. 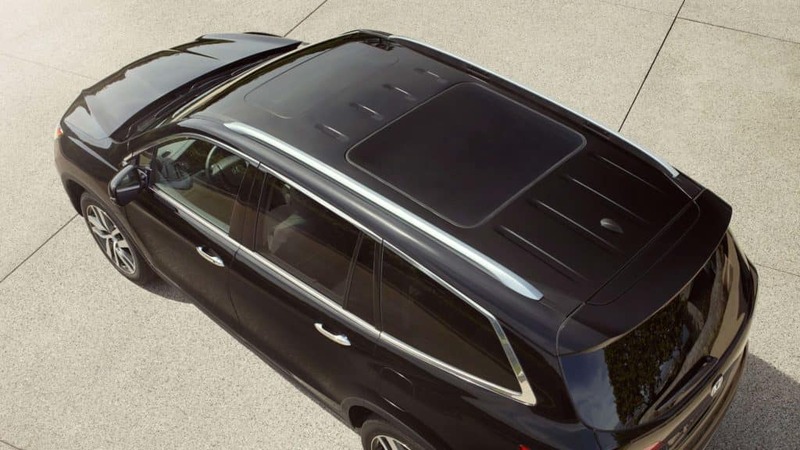 Available panoramic moonroof or power moonroof. 7 or 8 passenger seating. 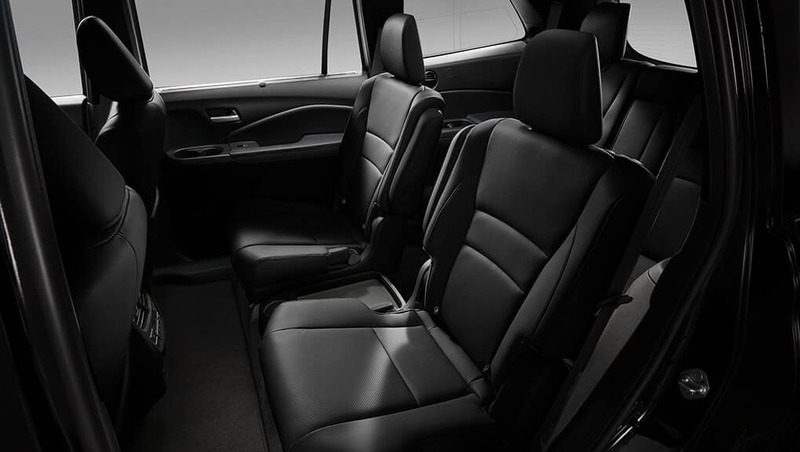 The Pilot seats up to eight with its 2nd-row bench seats. 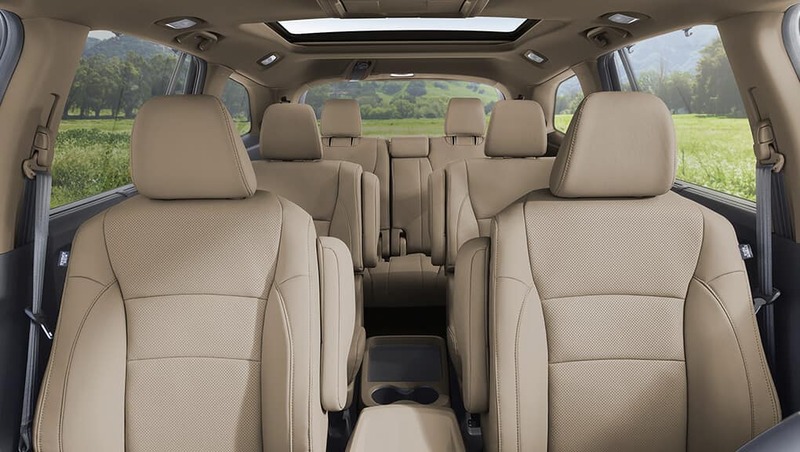 Or 7 people with second-row captain’s chair in the Touring model. 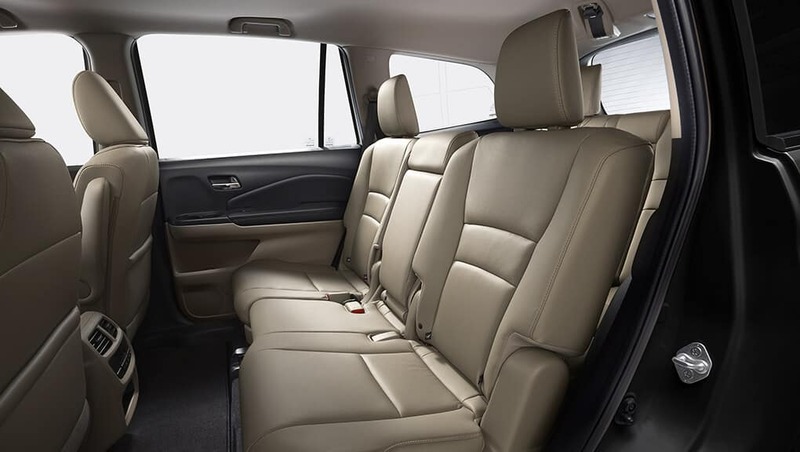 And get in and out in a cinch with the available one-touch second-row seats. Seating like that deserves a standing ovation. Available position memory seats and mirrors. 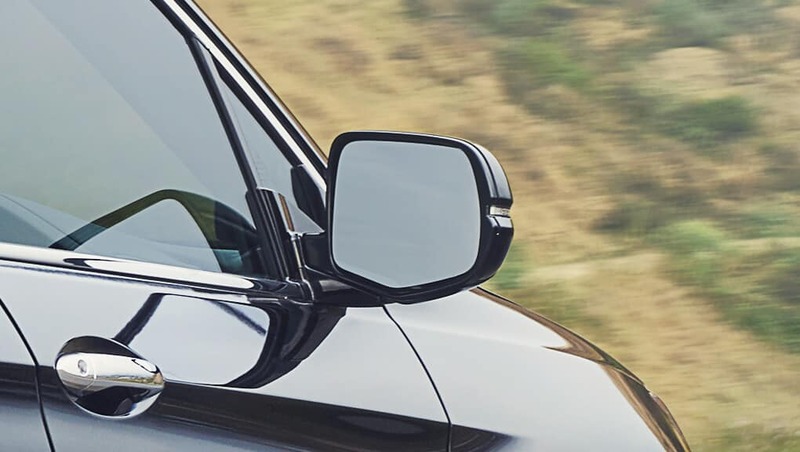 With its available driver’s seat position memory and available memory-linked side mirrors, you’ll never have to worry about losing your sweet spot. 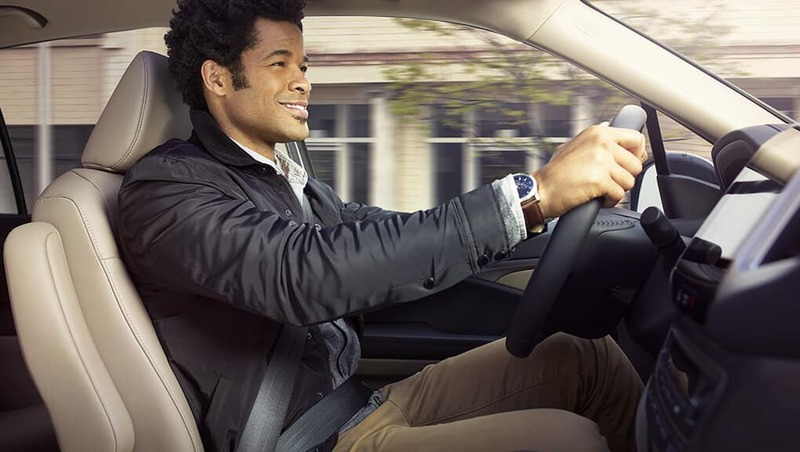 Lean into added comfort with the available 10-way power adjustable driver’s seat including power lumbar support for the perfect seat on every adventure. 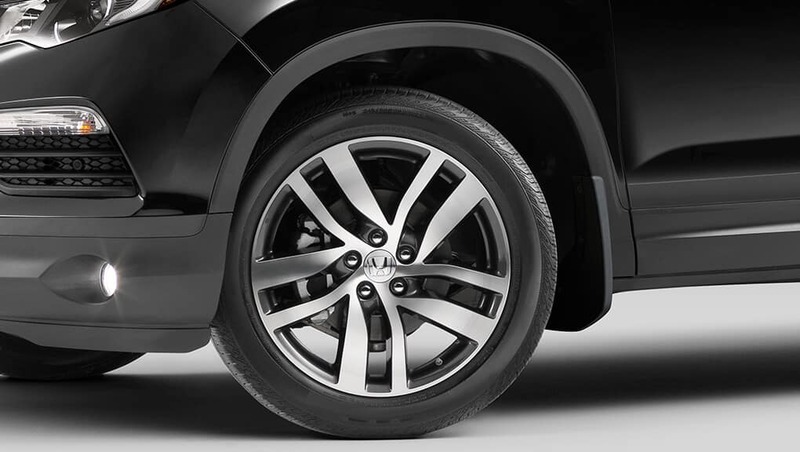 Refined styling meets rugged adventure. 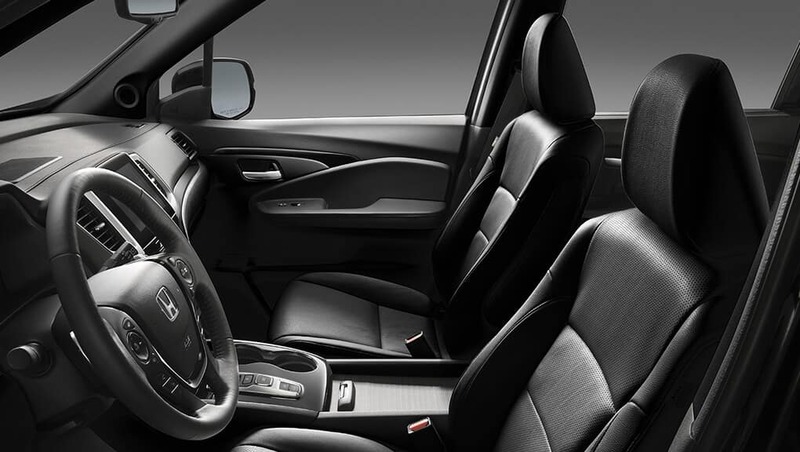 The Pilot’s interior features available black perforated leather-trim seating. Your ticket to the outdoors just got a seat upgrade. 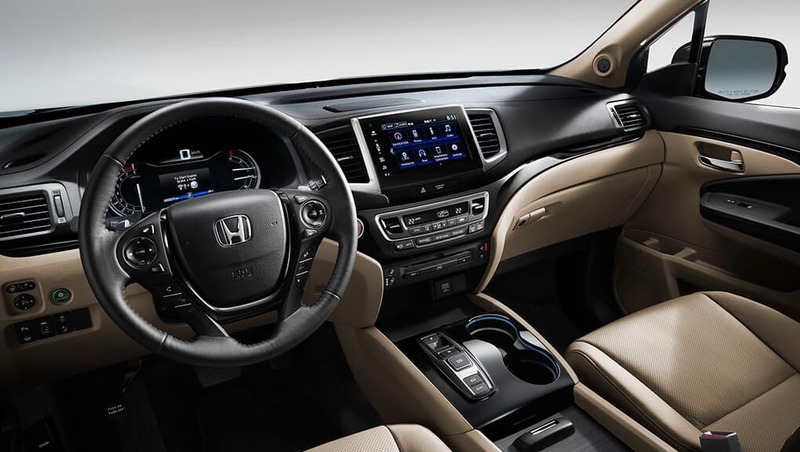 The Pilot features an 8″ Display Audio System, a tablet-like touch-screen that lets you pinch, swipe and tap to navigate through the audio system and HondaLink™– it’s adventure at your fingertips. 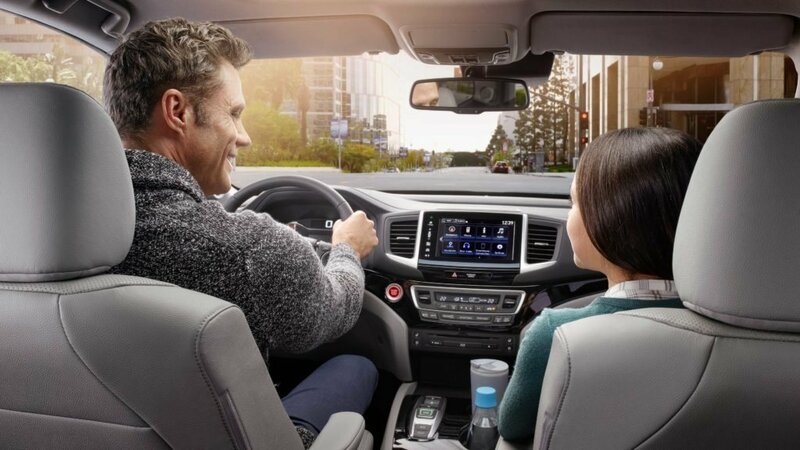 The available Honda DVD or Blu-ray™ Rear Entertainment System with 9-inch display, integrated remote control and wireless headsets with personal surround sound keeps your passengers entertained. 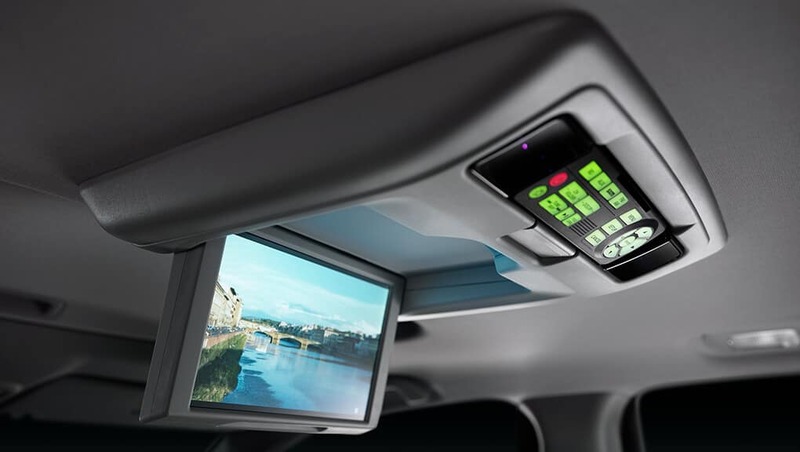 And the available HDMI® input allows passengers to bring aboard their HDMI-compatible devices. 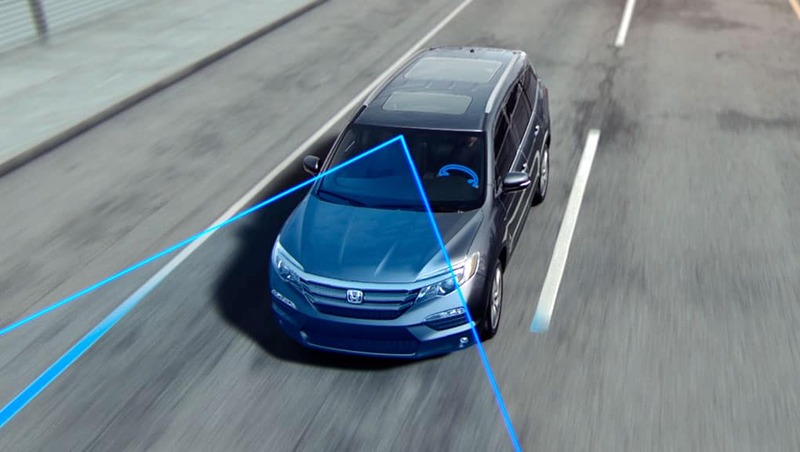 The available Honda LaneWatch blind spot display sends a live video feed from a camera mounted under your passenger-side mirror to the 8″ Display Audio System screen, revealing nearly four times more visibility than the mirror alone. 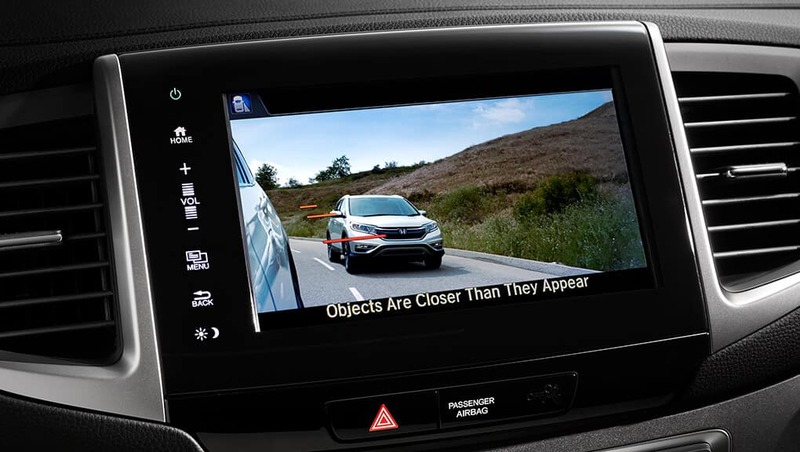 Get a better view of what’s behind you with the multi-angle rearview camera with dynamic guidelines. 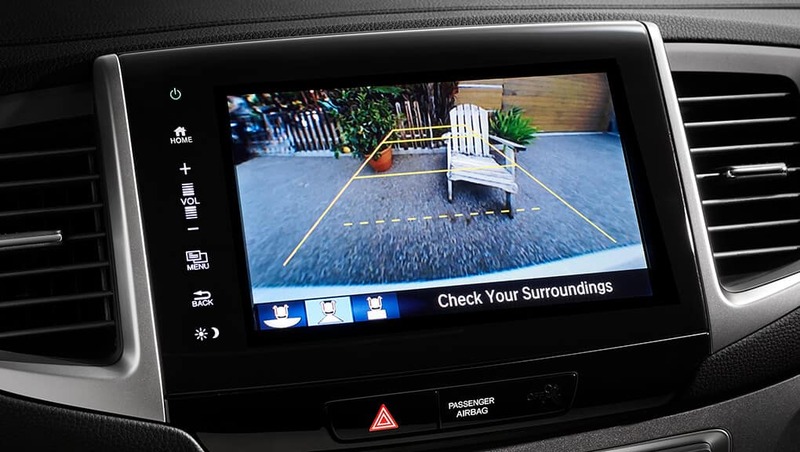 It comes with three different angles, including wide, normal and top-down, for added perspective and easier reversing. 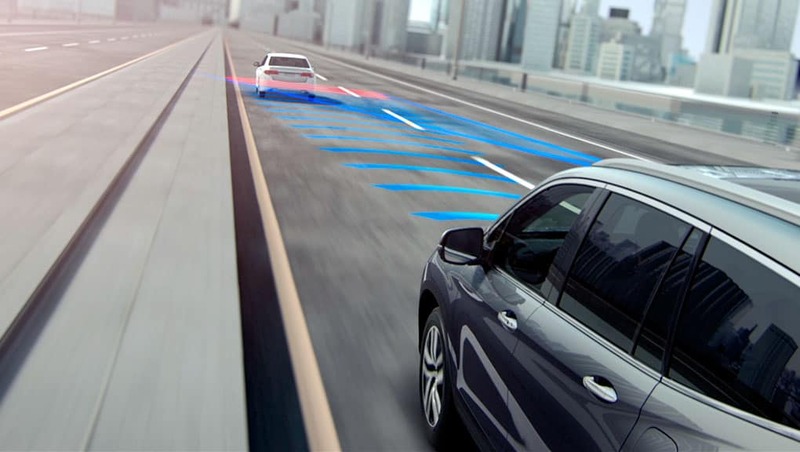 Available Rear Cross Traffic Monitor system. Available 10-speaker, 540-watt Premium audio system. 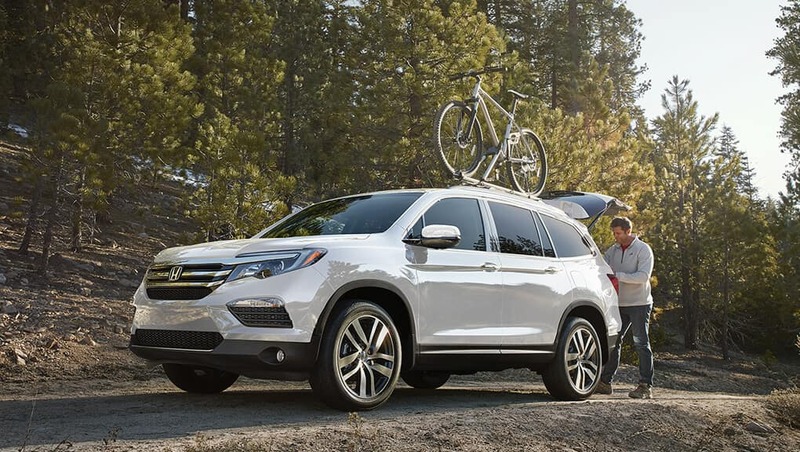 Every adventure deserves a soundtrack. 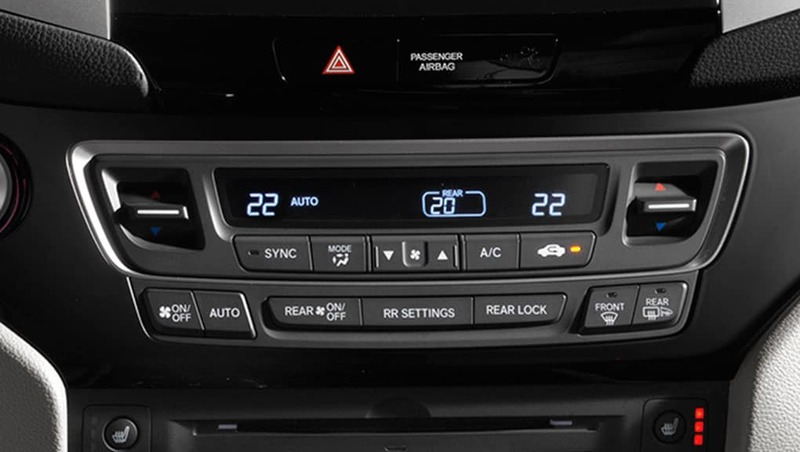 With the available 10-speaker, 540-watt AM/FM/CD Premium audio system with MP3/Windows Media Playback capability including subwoofer and 5.1 surround sound, Bluetooth® Streaming Audio available SiriusXM™ you’ll enjoy it the way it was intended. 4.2” full colour TFT multi-information display. 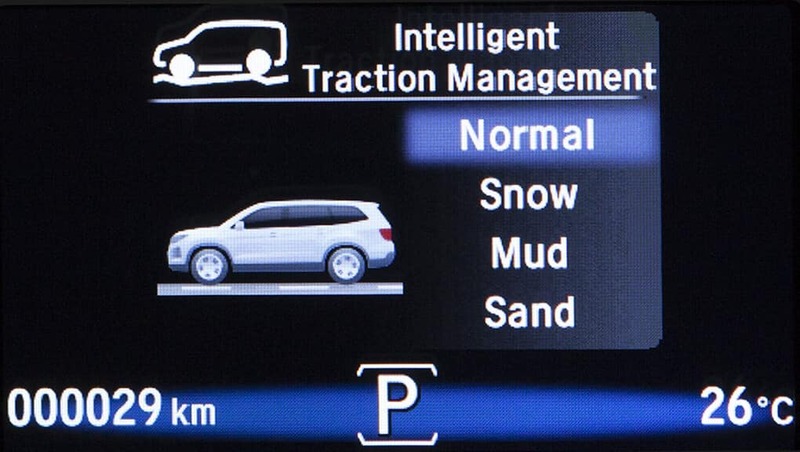 Conveniently located in the driver’s line of sight sits the 4.2″ full colour TFT multi-information display. 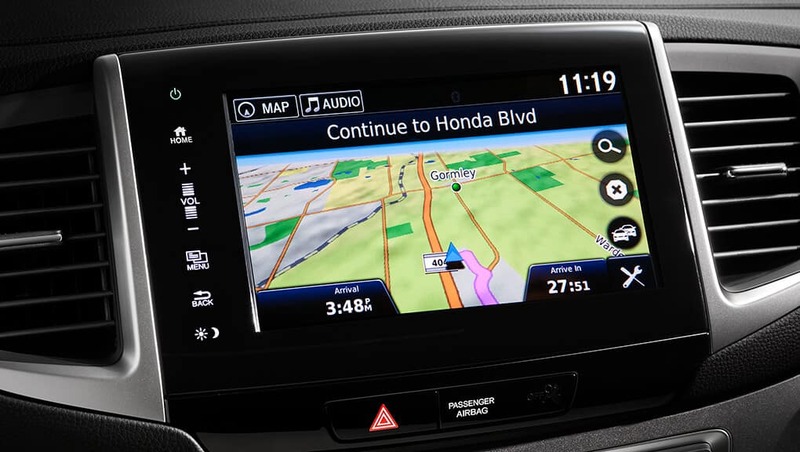 Stay on top of the road by monitoring your fuel economy, the outside temperature, and your distance. 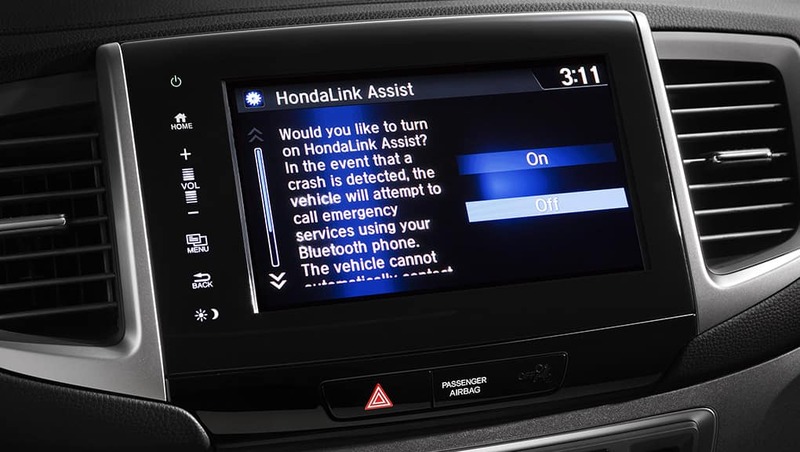 HondaLink™ connects to your Android or iOS compatible smartphone using Bluetooth®. 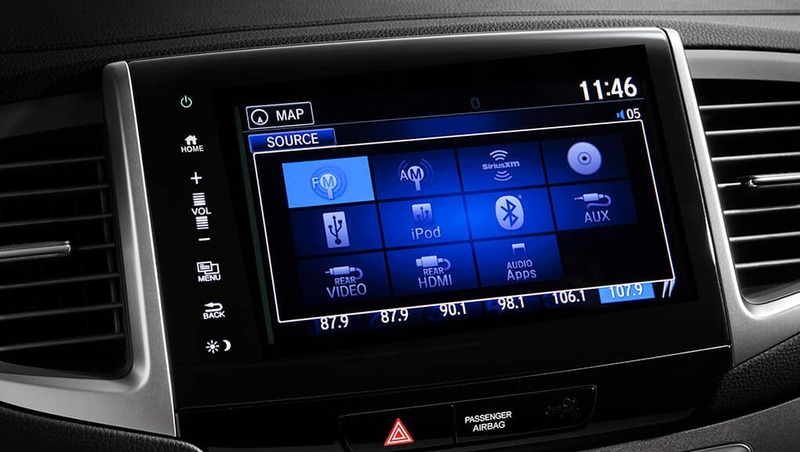 It connects you with your dealer and points of interest, all on your built-in touch-screen 8″ Display Audio System. 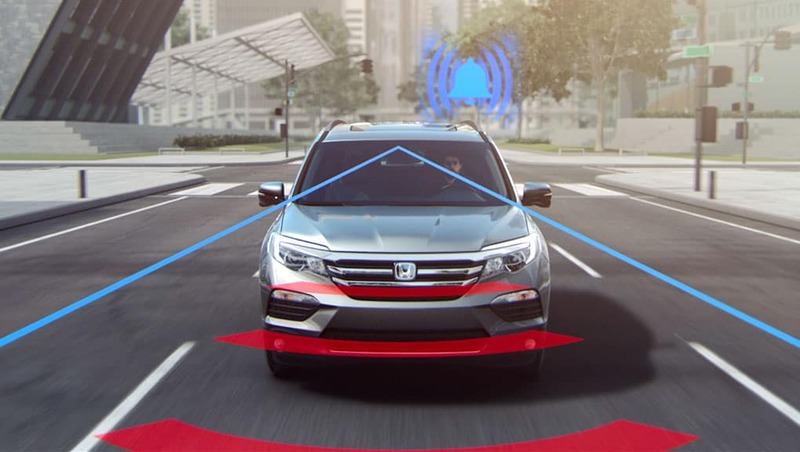 It alerts you with system warnings, checks the weather, and schedules Honda Dealer appointments. Available USB charging ports and power outlet. 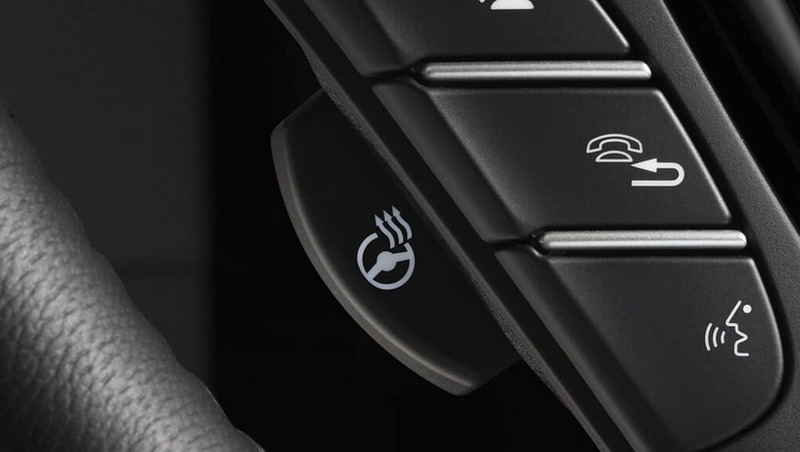 Helping you and your passengers stay connected are the Pilot’s five available USB ports – four of which are quick charging. 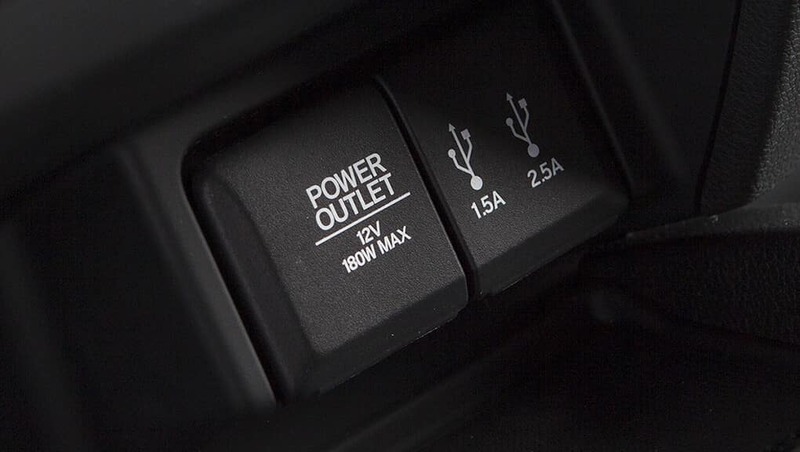 And with the available 110V power outlet, you can charge virtually anything. You won’t simply drive in comfort, you’ll stay entertained. 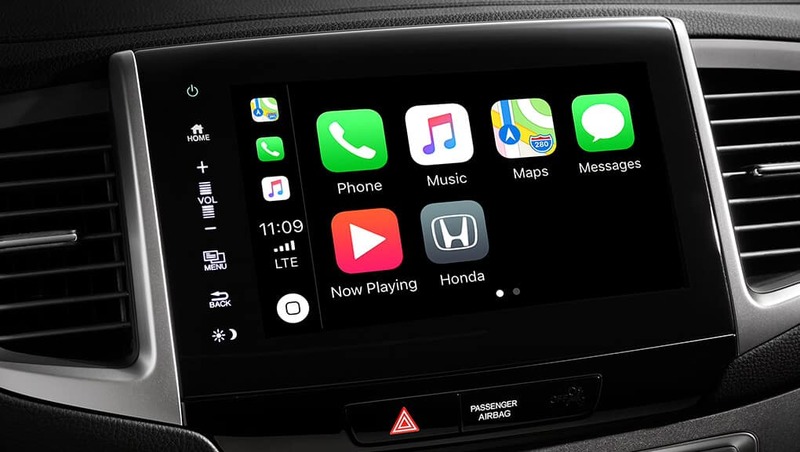 Teamed up with the Display Audio System, Apple CarPlay™ and Android Auto™ come standard on the Pilot, and give you even more reasons to love driving. 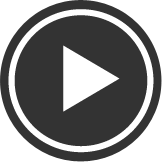 It plays your music loud and proud, as well as conveniently giving you access to some of your compatible phone’s features to keep you connected with your friends and family. 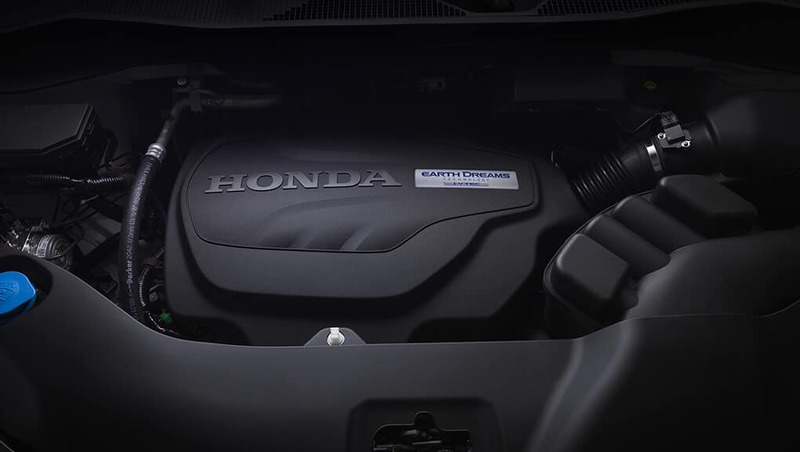 Every Pilot comes with a 280-hp 3.5-litre, 24-valve, Direct Injection, SOHC, i-VTEC® V6 engine with 262 lb.-ft. of torque. 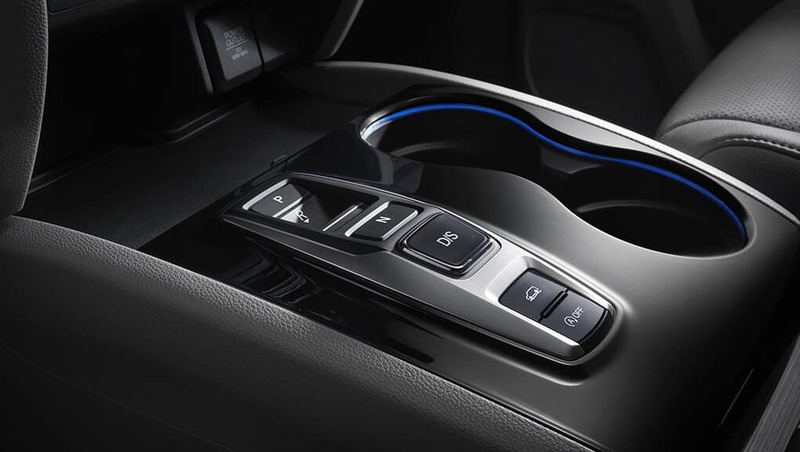 And to help every litre go further, the Variable Cylinder Management® (VCM®) system is designed to automatically switch between 6 and 3 cylinders, depending on the driving conditions. 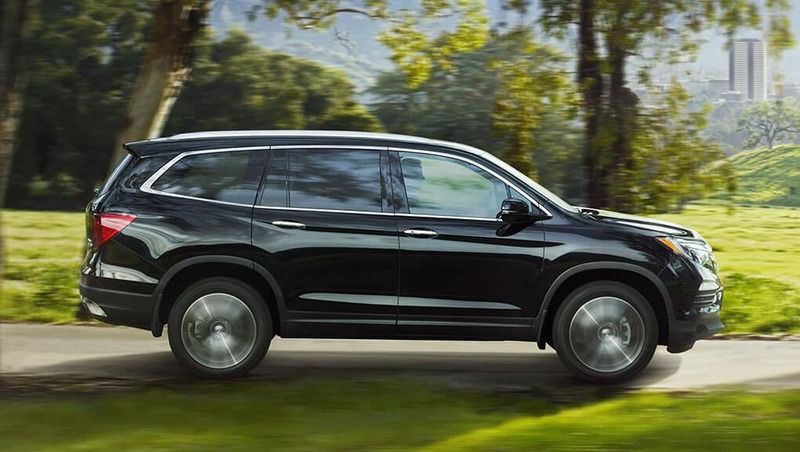 For a smoother ride, the Pilot’s intelligent Variable Torque Management (i-VTM4™) AWD system is designed to increase responsiveness and handling, so you take to the road with greater confidence. 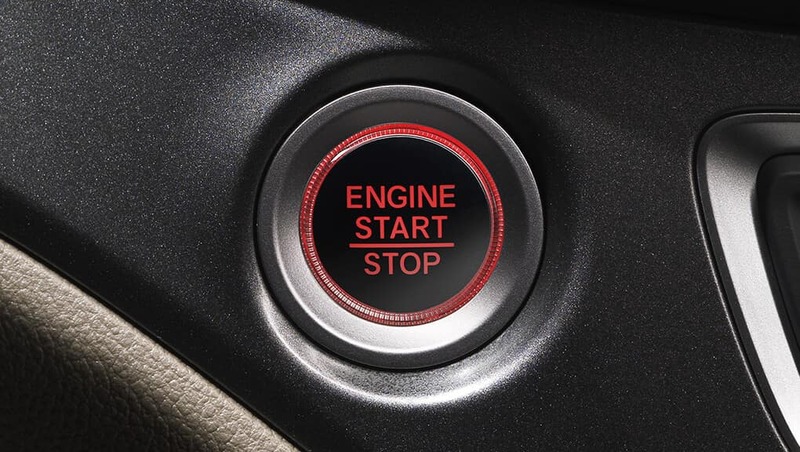 The 3.5-litre, i-VTEC® V6 engine’s available idle-stop can shut the engine off when stopped and restarts when the brake pedal is released to help improve fuel efficiency. 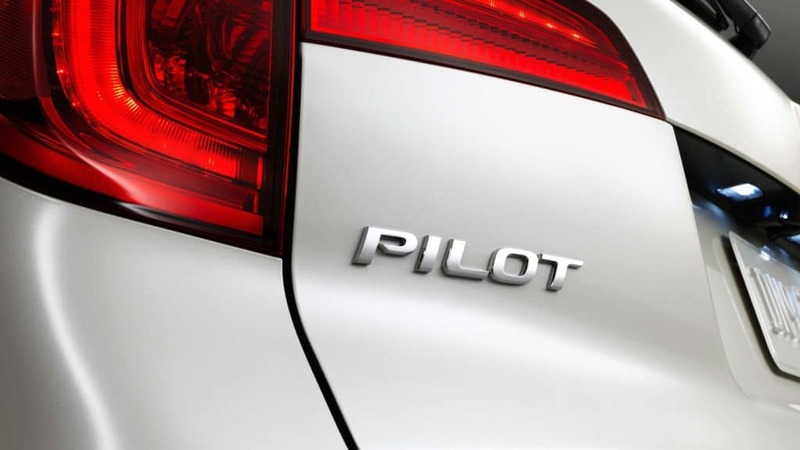 With fuel economy ratings as low as 12.4/9.3/11.0 (L/100km) City/Hwy/Combined the Pilot is designed with efficiency in mind. 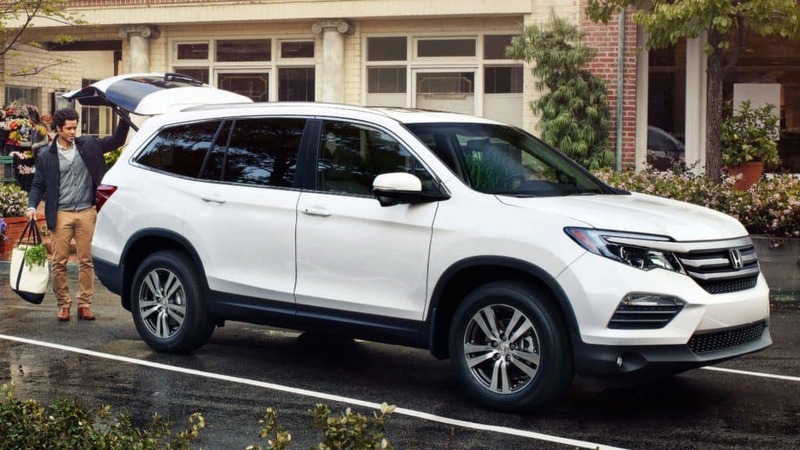 With its available towing capacity of 1,588kg or 2,268kg, the Pilot is ready for those adventures that need a little extra for the road. 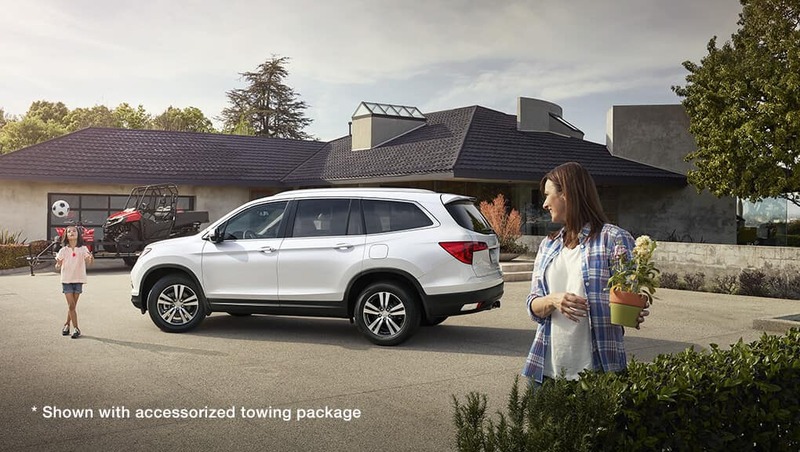 * Accessory towing package required. Packages are available at an additional cost as a dealer-installed item. 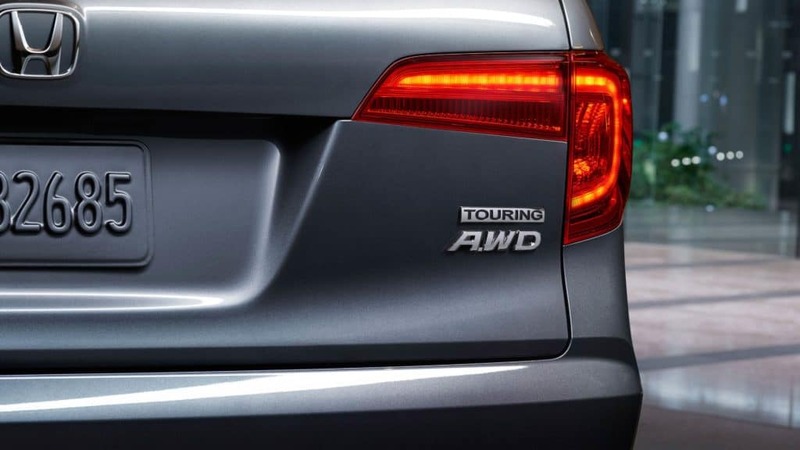 See your Owner’s Manual for proper towing operation. 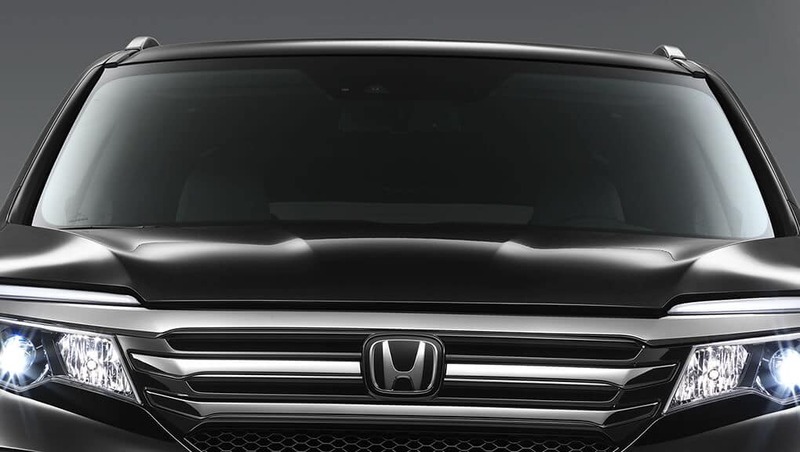 Advanced Compatibility Engineering™ body structure. 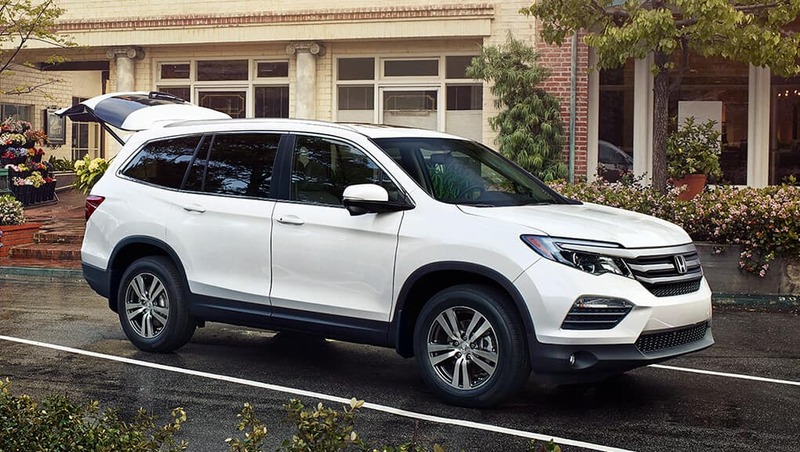 Like all Honda trucks, the Pilot is built with a rigid unit-body frame for added strength, stability and vehicle handling. 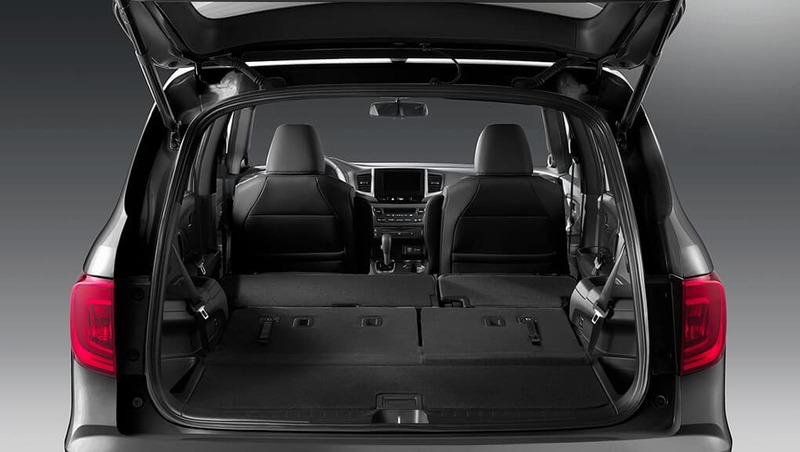 The cabin of the Pilot contains six standard airbags. 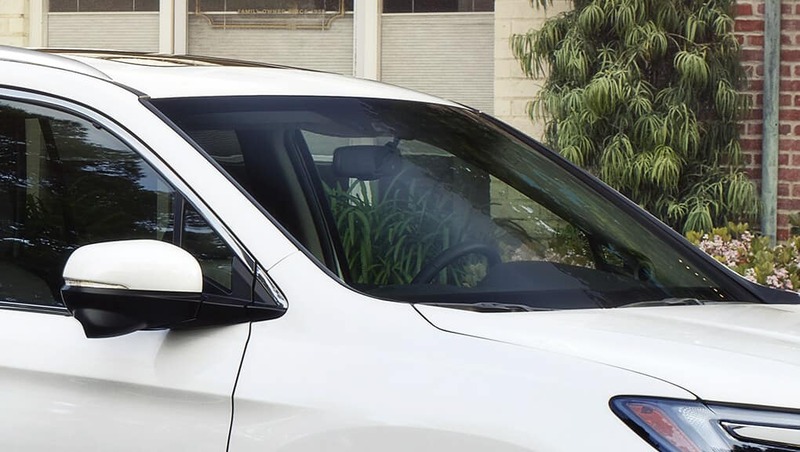 It features i-SRS front airbags as well as three-row side curtain airbags with rollover sensor system, which are designed to deploy the side curtain airbags in the event of a rollover. 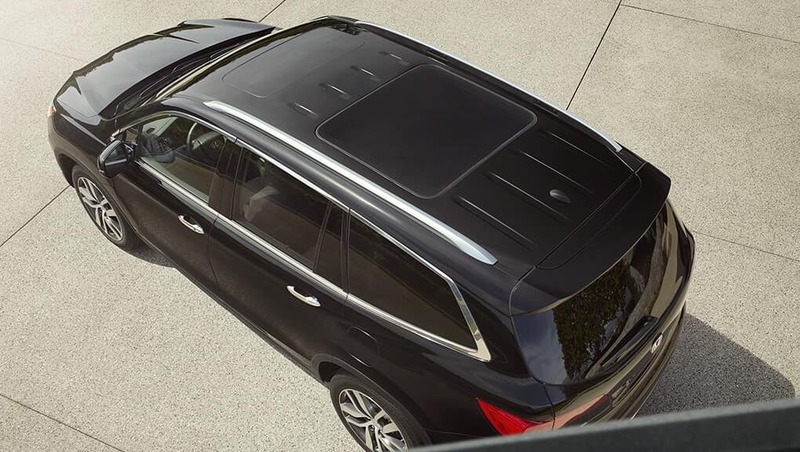 Plus, it has SmartVent™ side airbags, which are designed to deploy safely in a manner that mitigates the risk of injury to out-of-position or smaller occupants. HondaLink™ Assist Automatic Emergency Response. The Pilot helps prepare you for the unexpected with 3-point height-adjustable front seat belts with automatic tensioning system and 3-point rear seat belts in the second and third rows. 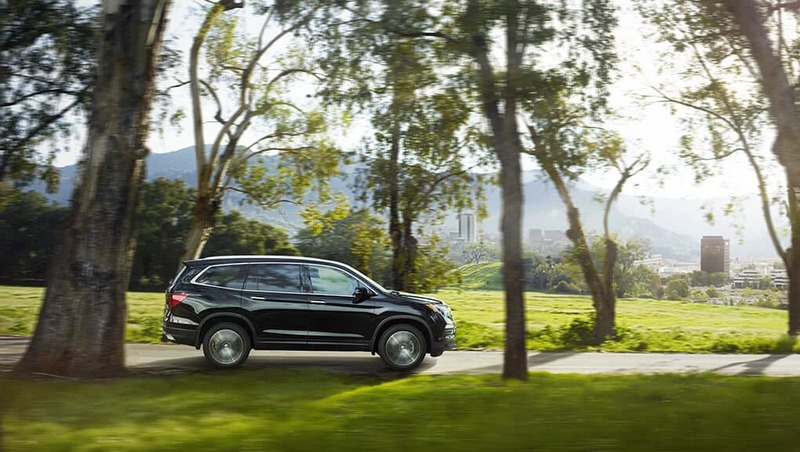 The exceptional safety features in the Pilot also apply to your most precious cargo. 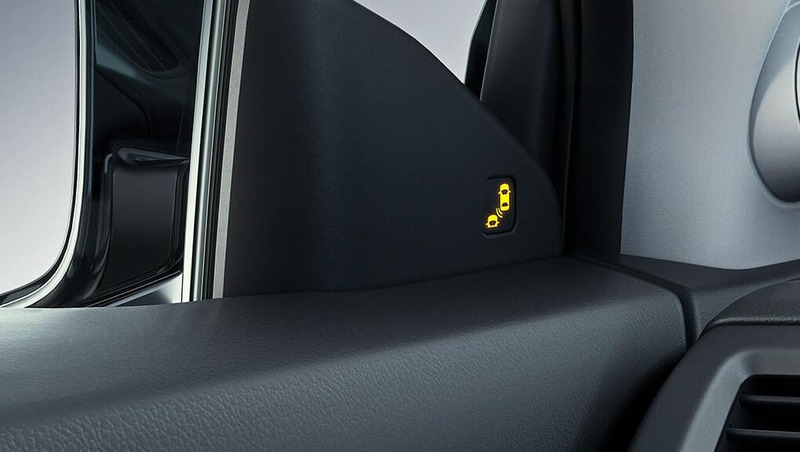 Four built-in, ready to use Lower Anchors and Tethers for Children (LATCH) give you a simple and convenient method to install compatible child safety seats without using the vehicle’s seat belt system. 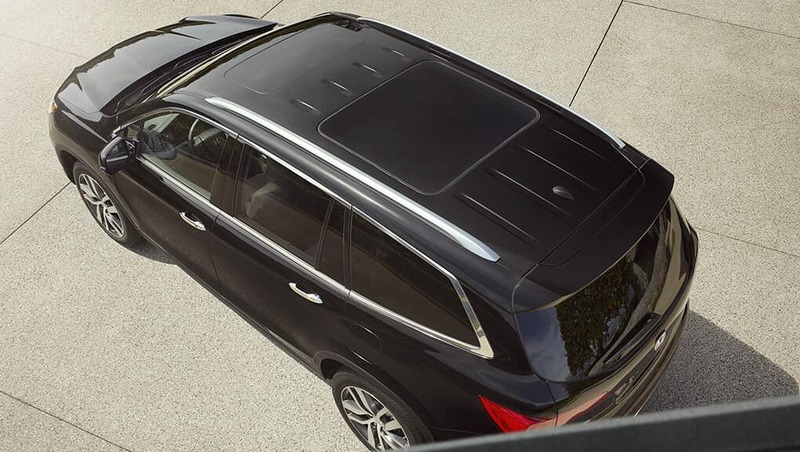 The Pilot also features childproof rear door locks.